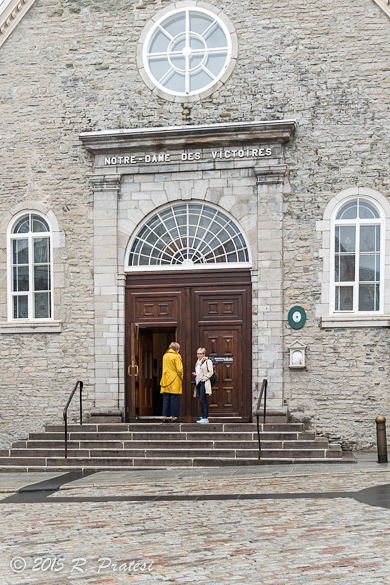 This is the first in a series of articles on our travels to Québec. 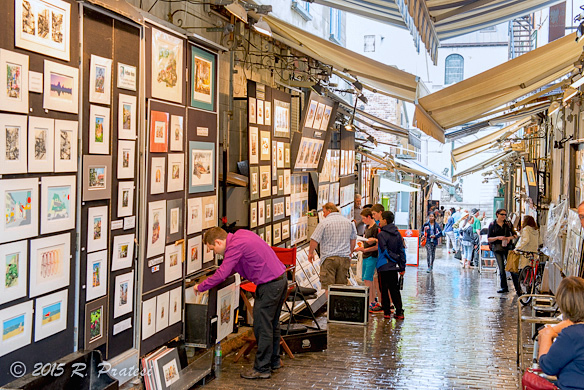 Sidewalk cafes, art gallery lined streets, boutiques, cathedrals, cobblestone walkways, and men and women chatting in French, eating a croissant and sipping café au lait. 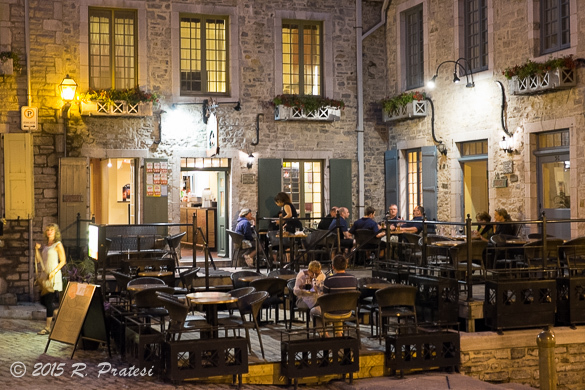 This could be a scene from almost any town in France yet, non non. This is Québec City. A little bit of France with a Parisian flair and it’s all close to home without ever having to fly over the pond! 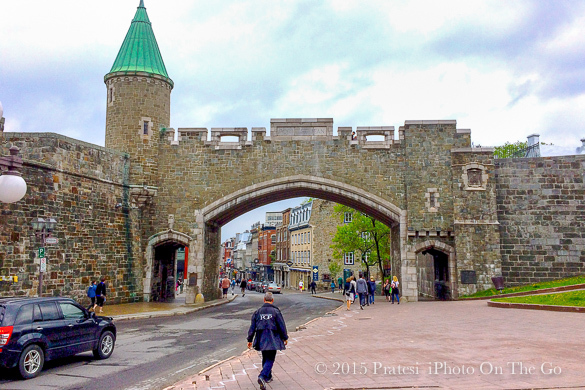 It was no surprise that I fell in love with Québec City. 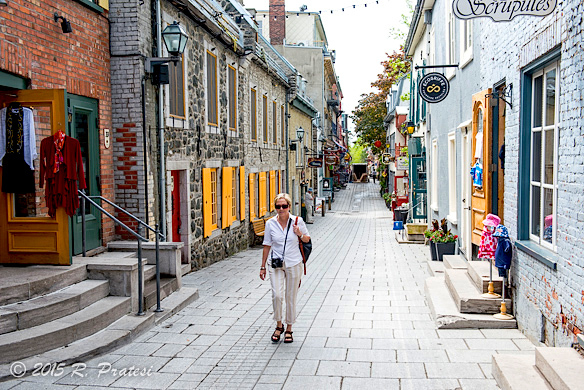 Situated along the St. Lawrence River, this enchanting and romantic city has a very European feel and offers visitors a myriad of outdoor activities, spectacular architecture, history, museums, excellent dining and shopping, and reasons to return again and again. It has been called the most European city in North America. 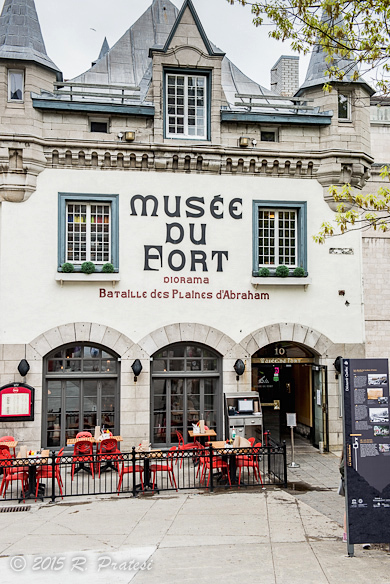 With two distinct cities within the city: the walled city, a UNESCO World Heritage Site; and the newer and more modern section of Québec City, there is plenty to see and do. As we discovered, three nights is not nearly enough time to explore the city and the outlying region. 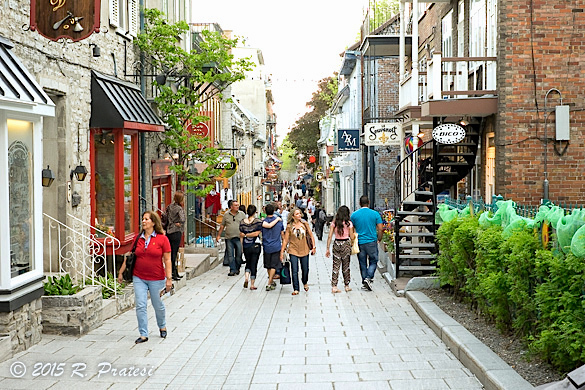 And depending on the type of vacation you prefer, Québec City offers beautiful and unique experiences. 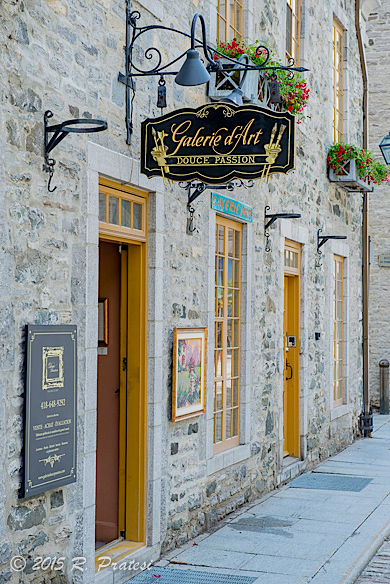 Any time of year is the perfect time to visit Québec. 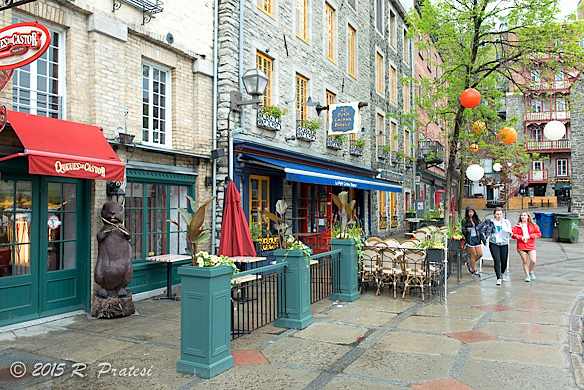 Québec City has a feel very much like Boston; not too large and easy to navigate. The people are warm and friendly and have a real passion for their city and they embrace all of their seasons. While some of us prefer the warm months of summer or the moderate months of spring and fall for their natural beauty, the people of Québec City love the winter for the peace, breathtaking snow-covered scenery, and outdoor activities the cold weather affords. Québec City is known for its many festivals and while there are festivals all spring and summer long, such as the 11-day Québec City Summer Festival in July featuring International music stars; the Bordeaux Wine Festival in August; and the renowned Québec Jazz Festival in the Fall, the winter months are also filled with activities as the quiet, snow-lined streets beckon residents and visitors to come outside and enjoy the winter’s festivities, such as the Christmas Markets (similar to those in Europe), the Festi Lumiere, and the Winter Carnival. Gwen , what a wonderful article about a beloved city. We will be traveling there this week and very much appreciate this timely posting. You and Roger have given us so many perfect recommendations for restaurants and activities. We can not wait to try them all. Thank you for all the hard work you do to make these places come alive for all your followers. We love the fact you make them all so fun as well as educational. I hope you and Bill are enjoying your time in Québec. I can’t wait to hear about your travels when you return! Thanks for the suggestion, Gwen. 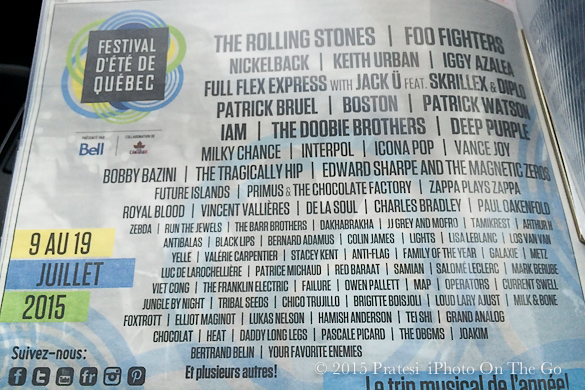 I’ve only been to some of the English speaking Provinces, never to Québec. You really make me feel like going there. Thanks to you and Roger. 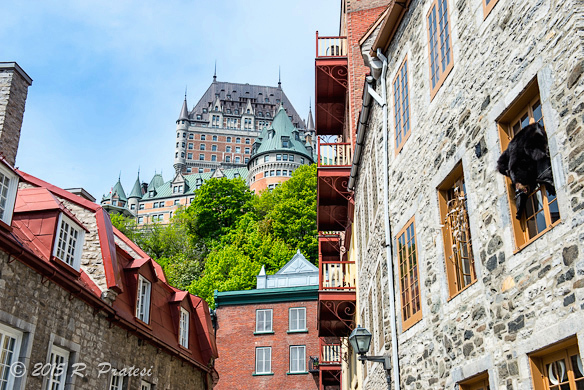 You definitely need to visit Québec. 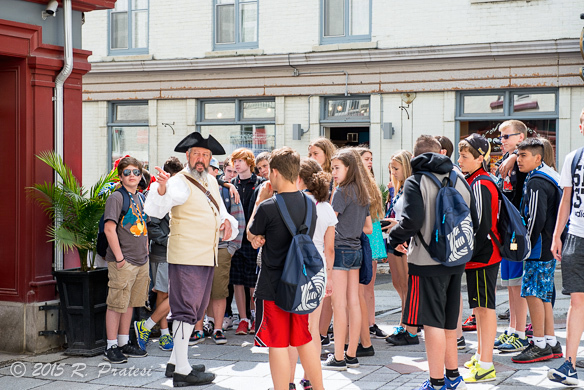 We loved the city and the surrounding area. It’s a beautiful and really unique place to travel to with all the very different regions not far from the city. And the food and local wines were wonderful. Can’t wait for next June. 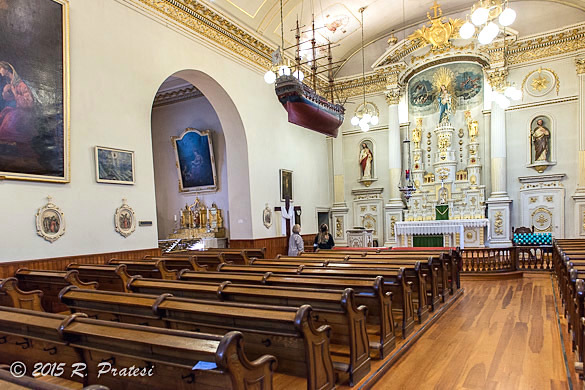 To be with optimist and in the city of Quebec, wow! I want to see and do everything. Bringing my granddaughter for her graduation gift and we are going to have so much fun. Keep the info coming.